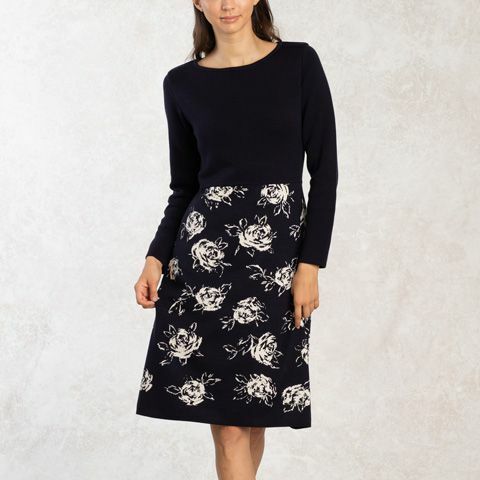 Knitted in Niigata, northern Japan, our warm and washable knit dress features a beautiful jacquard rose design. 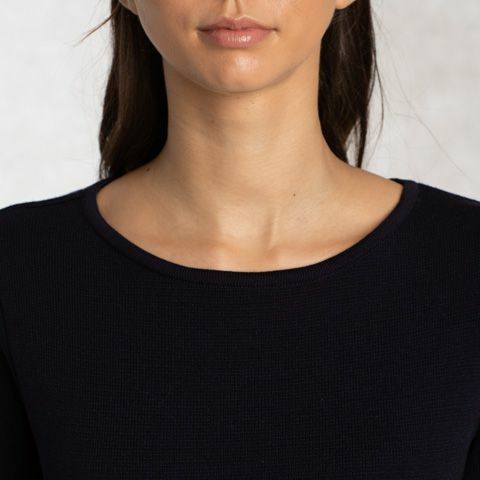 Soft and warm, our washable knit with original rose design is specially woven in Japan. 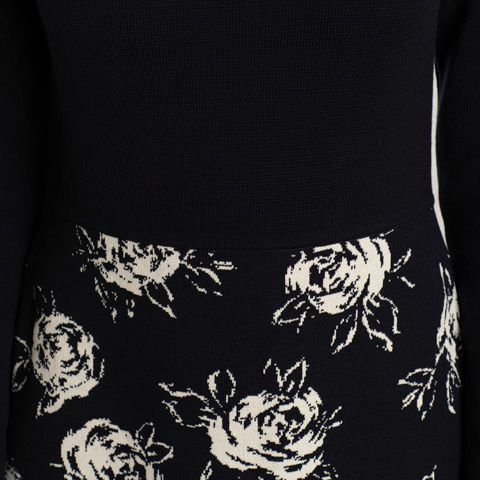 Enjoy the contrast between the solid knit top and jacquard rose skirt. 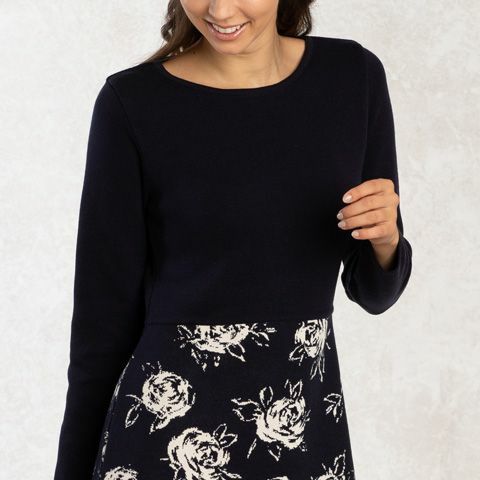 The contrasting top and flared skirt create a princess-like silhouette.